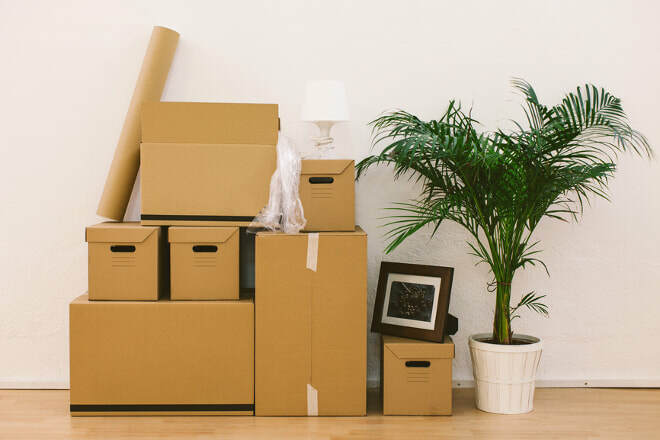 Moving house can be an extremely stressful time, but we have some great advice about how to pack efficiently and easily enough in order to save loads of valuable time, and even more valuable nerves. Before you do any packing, it’s time to make important decisions about which possessions are staying, and which need to go. Get organised and declutter by creating a set of questions – ‘have I used this in the past year?’, ‘does this still fit me?’ – to determine which belongings need to be recycled, donated, sold, or thrown away. Stopping to reminisce over old family photographs will slow the process down. Avoid getting too emotional. Stay rational throughout, or consider a professional packing company who will be in charge of the packing process on your behalf. Packing can be very time consuming, so it’s worth overestimating how long it will take. Add a week-long contingency to your packing timeline so that you can avoid the last-minute rush. Plan to tackle one or two rooms each week, depending on your schedule. Buy your boxes, packing tape and bubble wrap well in advance, and look out for free, sturdy boxes when you go shopping in supermarkets and DIY stores. If you are using a removals company, they may supply boxes at a cost. However, if you are in doubt, you can always ask the counter staff if they have any spare boxes for you to take home. Be methodical in your approach to packing by tackling a room at a time, starting with the least-used room in the house, to help you minimise disruption. If you prefer, use this room as storage for all boxes to avoid creating a mess around the rest of the house. Also remember about packing items stored in the shed or garage, and think ahead to how you will move these items when moving day arrives. A brief inventory not only helps you to keep track of items as they’re loaded on and off the removal van, but it also helps with finding items quickly when you are moving. Number each box and write a summary of contents on the outside, or create a spreadsheet. To save further hassle, it’s also a good idea to mark each box with the room in the house it should be taken to once it has been unloaded off the removals van. You need to remove all of the food from your freezer before you move. Be wary that freezers take a few hours to defrost, so your freezer should also be switched off at least 12 hours before you plan to load it onto the moving van, just to be safe. Plan ahead and use any frozen food before the moving date to stop you from having to throw food away, also minimising disruption when moving day comes. There’s nothing worse than packing up your belongings only to realise you don’t have access to essentials like your toothbrush, kettle and clean clothes. To make sure you have everything you need, pack an essentials kit including toiletries, a few outfits and a towel. And remember, don’t pack the kettle and tea bags until the very last minute! When you’re dismantling furniture, make sure you put all screws and wooden dowels into a marked bag and ensure it’s attached to the piece of furniture it belongs to, so you can easily put it back together when you arrive at your new home.